One of the hardest things about dementia is feeling like you no longer know the person afflicted with the disease, even if you’ve known them your whole life. Not only is their memory impaired, but behavioral and personality changes are also a common symptom of the disease. So how can you maintain a meaningful relationship with them while they go through this? This doesn’t mean sign language, it means universal body language and indications of what you’re trying to say. One of the many unfortunate effects of dementia is that the person suffering from it often loses some or all of their language skills, so you may have to resort to nonverbal communication in order get your meaning across to them and to understand what they’re trying to tell you. And don’t underestimate the power of touch. Dementia can be a very isolating experience, but by simply laying your hand on theirs, you can let them know that you’re there to help support them and that they are not, in fact, alone. Another common symptom of dementia is heightened anxiety, which can be caused by a number of things, including increased confusion and an inability to communicate. When that happens, it’s easy to get frustrated and lose your temper, but that only makes things worse. It’s important to remain calm and speak in a low, quiet voice that promotes relaxation, rather than more anxiety. We know this is easier said than done, but it is of the utmost importance in making sure your loved one feels safe and secure. There will be good times, but there will also be tough times, and in the tough times it’s important to remember that they’re struggling, too. What they’re experiencing is confusing and scary and it’s important for you to understand that and be as patient as you can. Together, you can work through it. Doing activities together is always a great bonding experience, so try to think of activities your loved one has always enjoyed. If it’s something they can no longer do themselves (such as knitting or quilting), do it with them and find a way to make them a part of the process. Ask for their help picking out a pattern and colors, then work on the project in front of them while asking them about techniques and favorite projects they worked on. It’s always a good idea to talk about these things with other people who have had similar experiences. No matter how much you will always love the person with dementia, dealing with the disease is never easy, but it can help to talk to other people who have been through the same thing. In addition to providing a sense of community and understanding, they can also give tips and tricks for dealing with dementia that you may not have thought about. Here at Stillwater Senior Living, we treat our residents like family. Our apartments include studio, one bedroom, and two bedroom suites, and we are pet friendly. They are designed with security features, maximum accessibility, and include walk-out patois with a full range of amenities for the entire family. 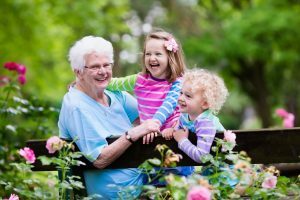 Children visiting their grandparents in assisted living can be a challenge. While you want to make sure the grandparents have a chance to play an active role in the lives of their grandchildren, kids (especially small kids) are easily bored and are not always able to understand why grandma and grandpa can’t participate in certain activities. In order to avoid this pitfall, we’ve come up with a list of fun activities that can be enjoyed by everyone. Who doesn’t love arts and crafts? It’s a chance for everyone to express themselves creatively. You can draw pictures, make masks, make ornaments, make a bird house out of popsicle sticks and then paint it. This is not only fun, but the end results will show off everyone’s individual personality. They can make great conversation starters by giving you an opportunity to ask each person why they made the creative choices they did. When the holidays come around, you can buy a gingerbread house kit that everyone can assemble and decorate together. Games are a great way to bring families together, and there are so many different kinds that it’s easy to find something everyone can manage. If the grandparents enjoy card games, many of those are easy to teach to kids. 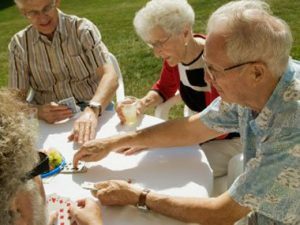 You can even have the grandparents teach the kids older card games that they might not be familiar with, such as Bridge or Go Fish. Board games like Chutes and Ladders and Scrabble are also great for family members of all ages. Who knows? The kids might even learn something while having fun (it’s OK, we won’t tell them). Walks are great for everyone and they’re an especially good idea when the little ones start getting restless. Discourage the kids from running ahead by asking them to spot certain plants and animals. You can use a book or just your smartphone to identify the kinds of birds, trees, and flowers you spot on your walk. Make it into a game by seeing who can name more than anyone else. Who doesn’t love cookies? Kids love learning how to make their favorite foods from scratch, and you can include the grandparents by asking them to show everyone how to make one of their signature recipes. For some extra points, you can decorate the cookies afterwards. Cakes and cupcakes are also a lot of fun to decorate together. You can either bring a pre-made cake or cupcakes without frosting, or you can choose a simple recipe that’s easy for the kids to follow as active participants in the process, then decorate afterwards. We even have a full kitchen in our fireside lounge where you can do this together! Every family has their own traditions, so think about some of the things your family has always done together. They’re usually things that people of all ages can enjoy together, so you can help keep the tradition alive by introducing it to the new generation, while including the past generation. There are so many unfounded rumors and misconceptions about assisted living that we hardly even knew where to begin. Eventually, we decided it was best to start with the most common misconceptions about assisted living and go from there. Many people think that moving out of their own home and into assisted living will mean losing all their independence, but that’s simply not true. It’s called “assisted” living for a reason, not “controlled” living. Our job is to assist our residents in living their best lives. As people age and start to lose some of their ability to take care of themselves, our role as an assisted living community is to help them with those tasks, including helping out with hobbies and other fun activities as needed. At Stillwater Senior Living, we not only have parking available for our residents who are still able to drive, we also provide transportation to those who are no longer able to drive. Wherever it is you need to go, we’ll help make sure you get there. Humans are primed to prefer the familiar, which means, when it’s time to choose an assisted living community, we’re more likely to choose one we’ve heard of over a smaller community that might not have as large of a marketing budget. This is a mistake. You should always do your due diligence before deciding on something as important as assisted living. You’re trusting your loved ones to this building and this staff, so you had better make sure you can trust them. Assisted living can also be very individual. A larger company might have the more well-known brand, but they might not be able to provide your loved one with the specific level of care they require. The benefit of smaller assisted living communities is that they often have the ability to be more flexible, and are sometimes more affordable because of their lower overhead costs. This is not always the case, and even when it is, consider the other costs associated with staying home. For example, many of those who choose to stay home rely on an unpaid family member to take care of them. While this person may be very loving and doing their best as a caregiver, if they’re not a trained professional, they may not be equipped to provide the best care. There’s always the chance they may miss something that a professional would recognize as a red flag, or they could make a simple mistake that turns out to be dangerous. It also means having to put their own career on hold, so the financial strain imposed on the rest of the family as a result of the decision to forego assisted living actually has the potential to outweigh the costs of assisted living. The bottom line is that you shouldn’t believe everything you hear and be sure to question everything you think you know about assisted living. It’s an industry that’s changing along with our society, so what may have been true of assisted living in your grandparents’ day may not necessarily be the case today. Medicaid can be a wonderful thing that helps us get through tough times, but you have to jump through so many hoops to get it that more people end up confused and frustrated than grateful. No matter what stage you’re in of the application process (even if you’re just considering it as a future possibility) you should consult an elder law attorney to help you navigate the process. Hire an elder law attorney ahead of time to help arrange your assets to make sure they don’t exceed the limit and place you out of eligibility for Medicaid. An attorney can help you place some of your assets in a Medicaid Planning type estate plan, which will better enable you to navigate the process of qualifying and applying for Medicaid. Because there are things that are best taken care of ahead of time, you should consult an elder law attorney right away. Don’t wait until after something terrible has already happened, because by that time it could be too late. You want to get your assets in order before catastrophe strikes and/or you start to lose some of your mental faculties. Consult a qualified attorney when you’re at your best so they can help you stay that way. The same goes for Power of Attorney, both for healthcare decisions and financial decisions. 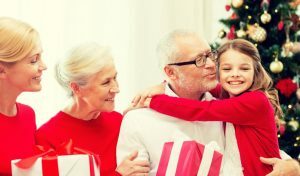 You want to have your Power of Attorney in place sooner, rather than later, because if something does happen and you’re unable to apply for Medicaid yourself, you’ll need your Power of Attorney to apply for you, but they can only do that if the process of authorizing them as your Power of Attorney has been completed. The best practices for applying for Medicaid will vary depending on whether you’re married or single, and if married, your spouse’s situation. For example, in some cases, it might make more sense to claim more income for the Medicaid recipient if it means letting the spouse keep more resources. It’s all about finding the sweet spot that lets you get the most out of your assets and Medicaid. That’s right – as if applying for Medicaid once wasn’t enough of a hassle, the government requires you to reapply every year to make sure you still qualify. They look for new assets and income, but they also update the application process because it’s not unusual for them to make changes to Medicaid. So just because you managed to successfully apply for Medicaid last year does not mean you can just copy and paste the previous year’s information into this year’s Medicaid application. Hiring an experienced elder law attorney is really the best way to go to make sure you get the most out of your Medicaid. 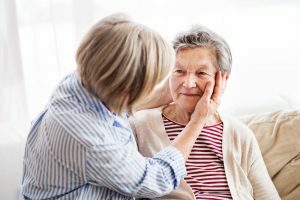 You might think someone working for the federal government or for your assisted living community would be able to advise you, but the truth is most of them don’t know as much about the process as a qualified elder law attorney. Even those working for the government don’t know all the ins and outs of their own regulations, so be sure to hire an attorney who knows what they’re doing. Hoarding is its own psychological disorder, characterized by an excessive accumulation of objects to the point where it begins to interfere with the person’s life, often by covering just about every available surface in their living area and/or including keeping food and medicine that has gone bad. The person feels distress at the thought of throwing anything away, and while the disorder can be isolated, it can also be paired with other disorders, such as severe anxiety and/or depression. It may make them feel safe to know they have everything they could ever possibly need. 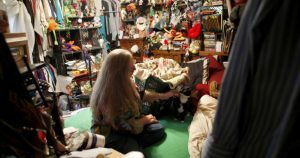 Hoarding can also be found in conjunction with Alzheimer’s or dementia, in which case it may be due more to confusion than out of any fear of throwing something away. Food may have been left to rot because they can’t remember when they bought it and their sense of smell has deteriorated to the point where they can’t tell it’s gone bad. Medications may likewise be left to go bad if the person can’t remember what it is, why they’re taking it, how much they’re supposed to take, when they’re supposed to take it, or when they took their last dose. Likewise, mail may be left to pile up if they’ve lost the mental capacity for sequential tasking. If that’s the case, then someone will need to sit down and go through the mail with them to make sure no important documents are lost and bills don’t go unpaid. As tempting as it is to get frustrated with hoarders and dementia patients (and doubly tempting when the two disorders are combined), it is of the utmost importance to remain calm and speak kindly and gently to your loved one. Remember that they’re not doing any of this on purpose, and if you lash out or yell at them, you’ll make them more confused and anxious, which will make everything worse. Choose your time to talk about the hoarded objects wisely – specifically when your loved one is in a good mood. Talk them through the process of selecting items to be thrown away – if they haven’t yet lost the ability to appreciate logical reasoning, you might be able to convince them to discard much of what they’ve collected without too much trouble. The memory box technique is one strategy that has proven to be successful when dealing with hoarders. Choose a box to be their designated place to keep “special things.” You can even decorate it together to make the box both more special and more memorable – this has the added benefit of creating a fun activity you and your loved one can share together. Anything your loved one likes to collect can be put in the memory box, which makes it easy for you to keep track of the accumulation of those items. If their rubber band collection is getting out of control, for example, you can remove some of them and your loved one probably won’t even notice. You can also label and keep items that really are valuable, such as keys and wallets, in the box. That way, when your loved one comes to you looking for something, you can simply suggest they check their box. If you’ve been struggling to convince your parents it might be time for assisted living (or if you’ve putting off the unpleasant conversation), you’re not alone. 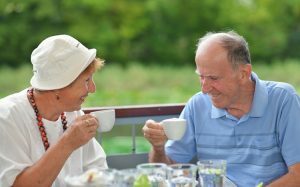 Assisted living suffers from plenty of misinformation, and despite the reasons you may have for why your parents need assisted living, have you considered how assisted living can actually improve happiness in seniors? Researchers have long recognized the importance of social relationships on both our physical and mental wellbeing – the more socially connected we are, the happier we are and the longer we tend to live. That social connection could be one of the most important things an assisted living community can provide. In addition to help with daily tasks and medical care as needed, assisted living communities are also one of the best ways senior citizens can stay connected to the world around them. Staying connected gets increasingly difficult as we get older. Friends and family members pass on; our kids grow up, move out and get their own lives; and staying home rather than going to an office every day means a significant decrease in social interaction. On top of all that, if we get sick or injured, we’re even more likely to stay home, which further inhibits social interaction. Going out gets harder as we age, and if we live alone, the days between visits from friends and family member can appear to grow longer and longer. While visits from the outside community are always encouraged in assisted living, residents are not dependent on them for their social lives. Not only are they surrounded by people in their age group (many of whom are have similar experiences as they age), but assisted living communities consistently provide several recreational and social activities to encourage residents to get out of their rooms (or even out of the building, if they’re able) and mingle. It is often by participating in the activities we enjoy most that we end up meeting the people who come to mean the most to us. Spending time with people who enjoy the same things we do is a necessary component of our mental and physical wellbeing. By providing a wide range of activities for their residents to participate in, assisted living communities help bring together people who might not otherwise meet. What makes it even better is the fact that these interactions can continue long after the program has ended. Sharing an activity with another person is not just a great ice breaker, it can also help create a bond that lasts for the rest of their lives. There are few things more satisfying than turning to someone and saying, “Do you remember that time we …?” and having them remember and be able to commiserate with you over that memory. Once people get over the initial stress of moving into an assisted living community, they’re more likely to report higher levels of happiness and a greater sense of belonging than they felt before they moved in. The bonds formed in assisted living can then help them live longer, healthier, and more fulfilling lives than they would have had if they had insisted on continuing to live on their own. Moving into assisted living is not giving up on life. It’s the beginning of a whole new chapter. Being a caregiver is a stressful job, putting a strain on your time, your resources, and most of all, your emotions. Unfortunately, there is no day off from being a caregiver. Your loved ones can’t control when they need you, and the more their abilities deteriorate, the more they’ll need you. It’s no wonder caregiver burnout can sneak up on you as all the stresses of the job pile up. Without a release, you’ll burn out, so we’ve come up with a list of things you can do to help you avoid that. There are support groups for caregivers all over the country for people to get together and talk about the struggles of being a caregiver. Talking about your troubles always helps, even when the people listening can’t do anything to help. In the case of these support groups, knowing you’re not alone and that your feelings are perfectly normal can be a huge release and help you get back to your job as caregiver refreshed and ready to face whatever challenges may come your way. If there isn’t a caregiver group in your area, start one of your own. If you can’t make it to meetings, just talking to a friend or relative about the strain can help relieve some of the pent-up emotions. At the very least, keep a journal where you can feel free to write it all out. Writing is an extremely cathartic exercise and has been shown to help with mental wellbeing and stability. It doesn’t even matter if you destroy everything you wrote when you’re done, what matters is the act of getting it all down on paper. It’s been said before and we’ll say it again: you can’t take care of others without first taking care of yourself. While many people (especially women) misinterpret taking time for themselves as being selfish, there’s nothing selfish about taking a break to recharge. On the contrary, doing so allows you to come back to the job better and stronger than ever, meaning you’re better able to fulfill your duties as a caretaker. Many of us want to solve the world’s problems, and even when we know on a logical level that it’s not possible, it doesn’t always stop us from overextending ourselves and agreeing to take on more responsibilities than we can handle. When you take on the responsibility of caring for a loved one, it can be very tempting to say “yes” to everything. You’ll take care of their day-to-day needs and their nutritional needs and make sure they take all their medication and get them to each and every one of their doctor’s appointments, and handle all their finances, and why don’t you write up and notarize their will for them while you’re at it? Taking care of a sick person who is losing control of their faculties is not like taking care of children (which is a full-time job in and of itself). Your senior relatives have built a life for themselves that will continue to follow them to the end – bank accounts, credit cards, savings, debt, assets, liabilities, etc. None of that includes the medical needs that can build up quickly as their body slowly deteriorates (unlike children, who are building up their capabilities as time goes on). Know right away that you can’t handle your loved one’s life and your own life at the same time. Recognize your limits and agree to take on only a reasonable amount of duties that you know you can handle. This will mean asking for help from others and that’s OK because it means all of you will be able to provide your loved one with better care than you could provide by yourself. The holidays tend to be a dreaded time of year for all ages who are trying to maintain our weight, or even shed some pounds. When we’re surrounded by so many unhealthy treats, what can we do to make healthier choices while enjoying the holidays? When going to a holiday party, ask if you can bring a veggie tray or other healthy dish you know you love. That way you’ll know there will be something there you can eat. If you’re going out to a restaurant with some friends, look at the menu ahead of time (not when you’re hungry), choose the healthiest option and stick to it when you get there and place your order. Don’t even consider any other options. Eating before you go out to a party or restaurant is also a good way to keep your calories and portion size down and make sure you know exactly what you’re eating. Most parties have one room where all the food is laid out. Avoid that room. If you’re hungry, make yourself a plate with the healthiest offerings, sit down and eat it, and be done. The most important thing to avoid is eating all night long, and one of the best ways to avoid that is by loading up on healthy food right away. That, combined with keeping a safe distance from the food table after that will help you avoid all the tempting sweets. We tend to consume a lot of alcohol around this time of year and that’s not healthy. It’s high in sugar, which spikes our blood sugar, which in turn makes us eat more when the sugar crash comes. It’s also hard on our livers, so if you do decide to indulge in some festive drinks this time of year, keep it to one alcoholic drink per party. The rest of the time, stick to water, which will help keep you hydrated. Make it sparkling water with some lime and it will look and feel like a gin and tonic, but your body won’t punish you for it the next morning. When indulging in unhealthy foods, some people practice the “three-bite rule,” which means they enjoy three bites of it, and then they’re done. If you’re eating a piece of cake, three bites is usually about half the piece, depending on how big the slice is. Three bites could also be one cookie, brownie, or a couple pieces of fudge. Besides, after three bites you tend to stop really tasting it anyway, at which point you’re just shoving food in your mouth because you’re high on the combination of fat and sugar. The point of parties is to see friends and family, new and old. Look at holiday parties not as a chance to stuff yourself with food and alcohol, but to talk with your friends and family members and even meet new people. Ask them how they’re doing and what they’re looking forward to next year. If you don’t know them, ask how they know the host(ess). If you’re talking, you can’t be eating. It’s an unfortunate fact that seniors are prime targets for scammers. They are perceived as being more trusting and many of them have acquired savings and valuable assets to help get them through retirement. The combination is too tempting for many scammers to resist. 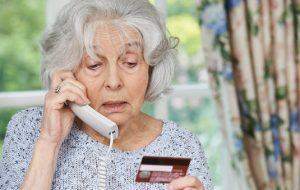 Below are the five most common scams targeting seniors and how you can avoid them. Winners never pay in order to receive their prize. That would defeat the purpose. Legitimate sweepstakes and lotteries have other forms of income to pay their bills, such as the tickets purchased by everyone who enters the lottery. Any time someone tells you that you have to pay to get a prize, hang up and report the incident to the National Adult Protective Services Association (NAPSA) right away. This scam has been targeting all age groups – not just seniors. Someone calls pretending to be from the IRS, saying the target has not paid their taxes, and if they don’t pay immediately, they’ll face serious consequences, such as a revoked drivers’ license or arrest. Another common scam is when the conperson calls pretending to be a relative who has been arrested abroad and needs to have money wired to them to bail them out. Some scammers show up on your doorstep offering home repair services you don’t need … or didn’t think you needed. These scammers get their targets to pay upfront for work that will be done at a later date. In reality, the work is poorly done or never done at all. 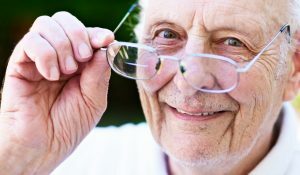 What Are the Risk Factors of Glaucoma in Seniors? The term glaucoma refers to various eye disorders, all of which are progressive and tend to result in damage to the optic nerve (which is a bundle of roughly one million nerve fibers that are responsible for transmitting visual signals from the eye to the brain). Glaucoma is considered to be loss of vision as a result of damage to the nerve tissue. Primary open-angle glaucoma is the form of glaucoma patients experience most often, and it’s caused by an increase in the pressure of the fluid in the eye. Such pressure can cause gradual damage to the optic nerve over time and loss of nerve fibers. It can ultimately result in vision loss and even blindness. Most people over 60 are at risk, but African Americans tend to experience an increased risk after age 40. After these markers, the risk for glaucoma goes up each year. African Americans are more likely than Caucasians to develop glaucoma and to experience permanent vision loss as a result. Asians are more likely to develop angle-closer glaucoma, with people of Japanese descent being especially more likely to get low-tension glaucoma. Latin Americans are most at risk in very elderly populations. If your family has a history of glaucoma, you’re more likely to develop it yourself. Having certain medical conditions can increase the chances you’ll also develop glaucoma. Heart disease, diabetes, high blood pressure, and low blood pressure have all been linked to glaucoma. Many people worry about high blood pressure (which can cause vision loss from glaucoma if left untreated), but few people worry about their blood pressure getting too low (hypotension). Nevertheless, hypotension is as serious a medical condition as hypertension and can cause damage to the optic nerve, resulting in vision loss. Getting hit in the eye isn’t just extremely painful, it can also cause the pressure in the eye to escalate, either immediately after the injury and/or some time after the incident itself. Severe trauma to the eye can also dislocate the lens, which causes the drainage angle to close, thereby increasing pressure on the eye and causing all sorts of problems. The anatomy of the eye itself varies slightly from person to person and the unique way your eyes are constructed might put you at an increased risk for glaucoma. For example, how thick your cornea is and the appearance of your optic nerve can both provide an idea of your personal risk for glaucoma. Conditions you might have developed over time, such as retinal detachment, tumors and any kind of inflammation in or around the eye, can all cause and/or exacerbate glaucoma. Some studies have also suggested you might be at increased risk for glaucoma if you’ve experienced a lot of nearsightedness. Use of corticosteroids for an extended period of time has been linked to secondary glaucoma. Glaucoma is a frightening prospect that can seriously inhibit our independence along with our vision. Because age is a primary factor in the development of glaucoma, you should be especially vigilant in looking out for it as loved ones get older, especially if they have one or more of the other risk factors. At Stillwater Senior Living, we do everything we can to answer the questions of our seniors in our community. If we do not have the answer, we will find someone that does.